CSR8675 Bluetooth 5.0 chip, Support APT-X APTX-HD lossless output Ultra HD format, Support 24bit/96Khz sampling rate. Signal transmission stability, memory multiple phones, and automatically connected. 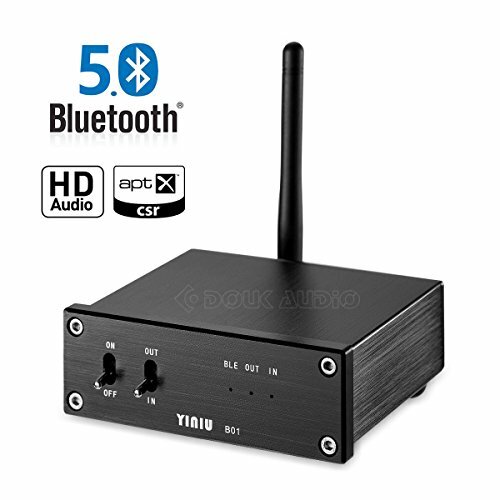 With Bluetooth 5.0 receiver, native digital Optical, Coaxial and Analog output which can output Simultaneously. With Coaxial Input and Output can controlled by front panel tggle switch, which can be used as an Audio Decoder alone. Philips professional decoder chip, the direct use of analog output is also very good performence. Digital bluetooth + Decoder chip + HiFi op-amp, extraordinary sound quality.